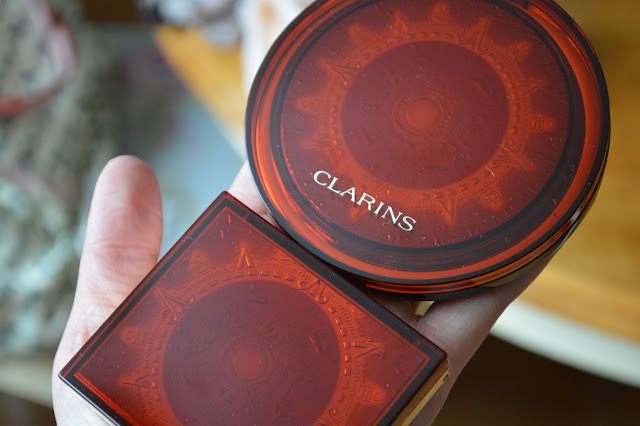 WOW, that's the first word that literally came into my head when I first saw the new stunning Summer make-up collection from Clarins. Splendours is themed around rich shimmering bronze tones, giving a warm natural summer glow. 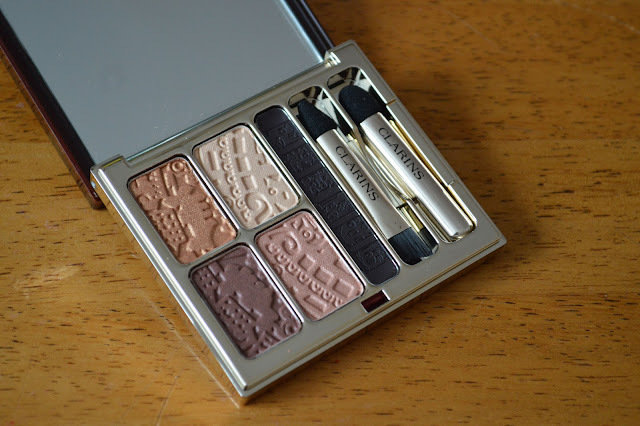 The collection comprises of a beautiful Eyeshadow Quartet & Eye Liner Palette (£31.00) the shadows are buttery and very pigmented. The eyeliner is a dream to apply, it doesn't come out as dark as in the palette but you can build it up for a deeper look. The little applicators which come in the palette are actually really good quality, I used the slanted eye liner brush to apply the liner along the top lash line easily and effectively with the brush.The eyeshadows can be used dry or wet for a deeper intense look. The one stand out product from the collection is without a doubt the beautiful Summer Bronzing Compact (£30.00) the detailing is amazing. The bronzer is two-toned making it suitable for the majority of skin tones, with an illuminating shimmering gold centre for an added glow.If you were a fan of the stunning mosaic bronzing compact last year or if you sadly missed out I would snap one of these up quickly because I think these will fly off the counters. The return of the Instant Smooth Crystal Lip Balms (£18.00) will be popular as ever I predict. These are perfect for all year round. 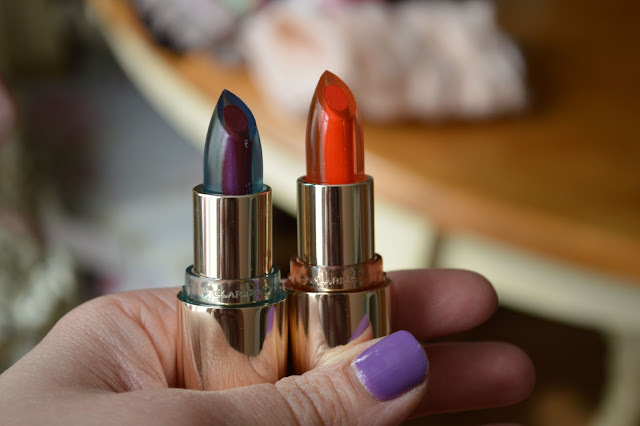 They deliver a wash of colour over the lips, instant hydration and a subtle glossy finish. They look like a lipstick and feel like a lip balm, if you haven't tried these from previous collections I highly recommend you pick one up this time before they sell out, because they normally always do! 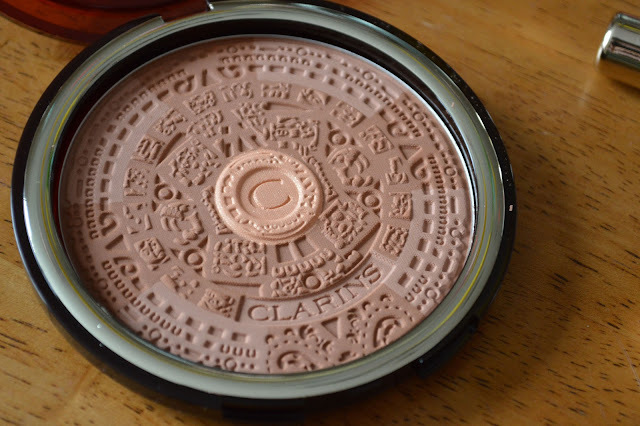 The Splendours packaging is gorgeous, the compacts glisten in the sunlight resembling warm amber. I prefer the golden packaging for the Crystal Lip balms as to the previous silver casing. The whole collection looks luxurious and screams warm summer days... if only eh? 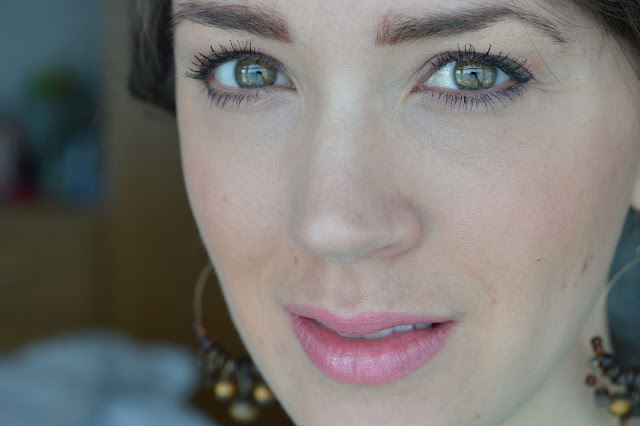 I used the Splendours Color Eyeshadow & Eyeliner Quartet on the eyes, with a layer of the terracotta Splendours Summer Bronzing Compact on the cheeks and lightly all over the face. For the lips I'm wearing one of the new Lip Perfectors in the Shade (05) Candy Shimmer, you can see my recent review of them here. 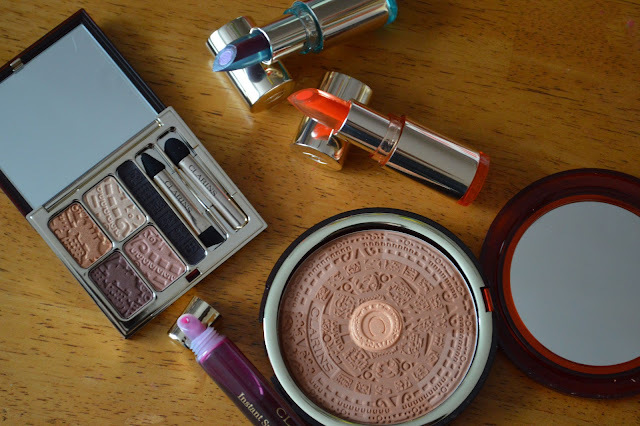 Will you be picking anything up from the New Clarins Splendour Summer Make-Up Collection? I have seen these around on blogs and have fallen so in love with them, they are so, so pretty! The design reminds me so much of the Mayan Calendar! This is one of the prettiest collections I've seen!